We have been specializing in the delivery of blood and blood products, and we have had the honor of serving some of the largest suppliers of blood for over 10 years. We understand the importance of fast pick up and delivery because sometimes getting your package there is a matter of life or death. 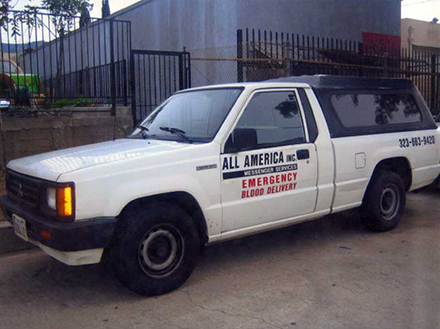 Specializing in the delivery of blood and blood products for over 10 years, our company and our drivers have maintained and unmatched safety and service record. 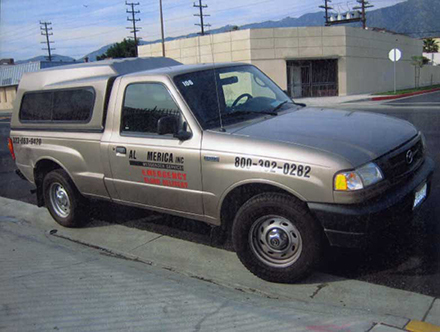 Our drivers have been dealing with delicate medical specimens for years and know the value of each package. 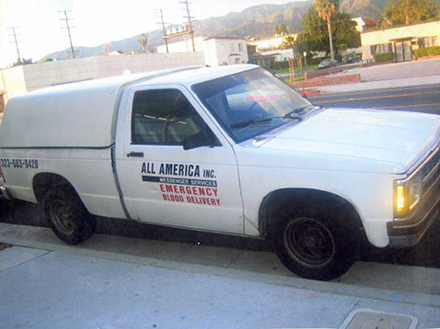 We are known all over Southern California for the effort we put in every delivery. 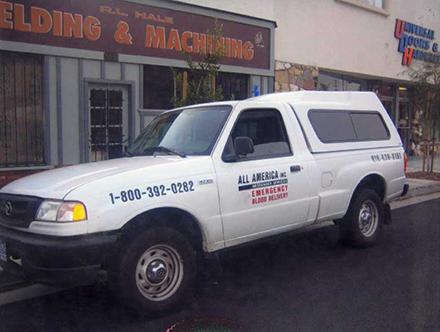 We are confident that no one can offer our quality of service at the prices we offer. We strive to offer you our Guaranteed Unmatched Value. We have had the honor of serving some of the largest suppliers of blood for over 10 years. With complete routing and logistic planning, our team of fully trained drivers will ensure absolute safety, security and confidentiality of the medical shipment. With strict adherence to our company policies our drivers are truly dedicated to our mission and none of our employees are sub-contracted, one team, one mission. 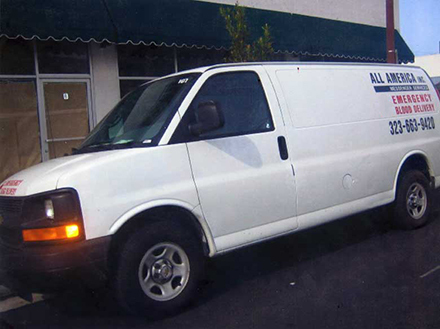 We have the resources and experience to deliver your crucial Medical Supplies, Lab Samples, Specimens, Blood, Tissue Samples, Surgical Instruments, Radiology, Pharmacy supplies, Medical Records and parcels quickly and safely. 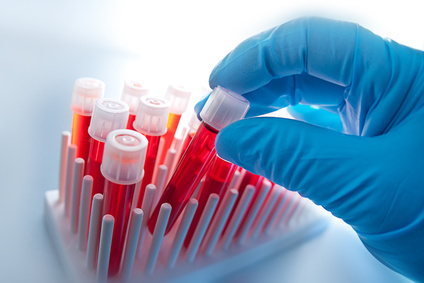 We also offer pick-up and delivery of medical specimens including temperature controlled specimens. We understand deliveries can be very time sensitive, which is why we also provide Emergency services for specimens and special equipment: Standard or STAT orders. 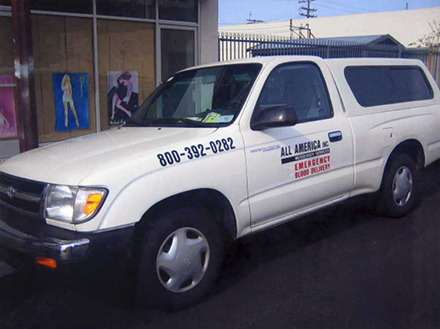 All American is available for you around the clock 24 hours per day, 7 days a week , 365 days each year with our team of skilled and experienced drivers and dispatch coverage on standby at your side. 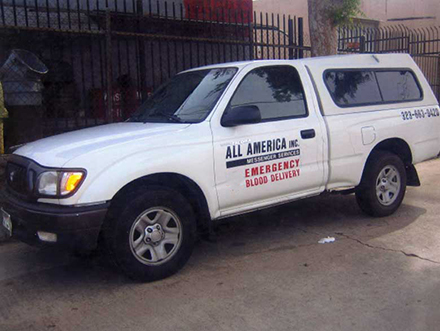 We are committed to your needs through communication and transparency.Unlike many other delivery operations, the transportation of medical supplies and equipment or laboratory samples are subject to unexpected demand on a regular basis. Unpredictability can make scheduling and routing a challenge, more importantly when time is of the essence and patients are waiting. Our web based dispatch provides accurate and secure job information to be seen by our partners, and allows for instant response. In addition to, we offer Hospital and laboratory scheduled routing and transfers between multi-site systems. 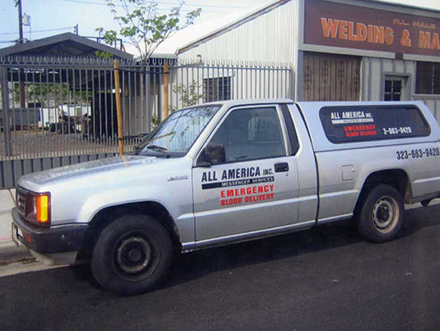 All American also offers real time GPS monitoring of your shipment, from origin to destination. With route planning, we reduce transportation costs by eliminating excess miles while helping drivers be more productive with time. In result, we can easily manage scheduling and order changes throughout the day, including time sensitive pick ups and deliveries. Daily reporting of shipments completed are also made available.